Mr. John Anthony Donohoe was born in Nova Scotia. In 1868, he travelled to the United States to take up gang sawing in Minnesota and Michigan. In 1888, John made it to Vancouver. He built roads in Vancouver, in the Yukon during the Klondike gold stampede, and then locally. He had three sons, George, Charles and John; two daughters, Mrs. John Addison and Mrs. Alvin Murray; 13 grandchildren and nine great-grandchildren. George Wesley Donohoe, born March 23rd 1879, married Edith Pope of The Ridge. 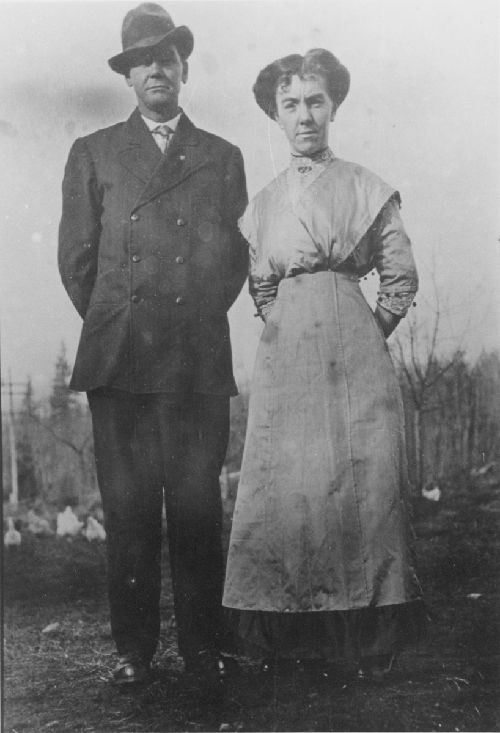 George Wesley Donohoe and his wife Edith [Pope] Donohoe circa 1910. John Donohoe died on April 11th, 1939. Charles Harmon Donohoe died at 53. He was born in Minnesota and came to Canada as a young man. For 28 years he was connected with the customs department. Surviving him were his wife; one daughter, Betty Jane; two brothers, George and Jack; and two sisters, Mrs. J. Addison and Mrs. A.A. Murray, Vancouver. Betty Jane was married on January 3rd, 1947 to Ramon Harpur. Her father, Charles, had passed away at this point and her uncle, Mr. A. Hamilton, gave her away. 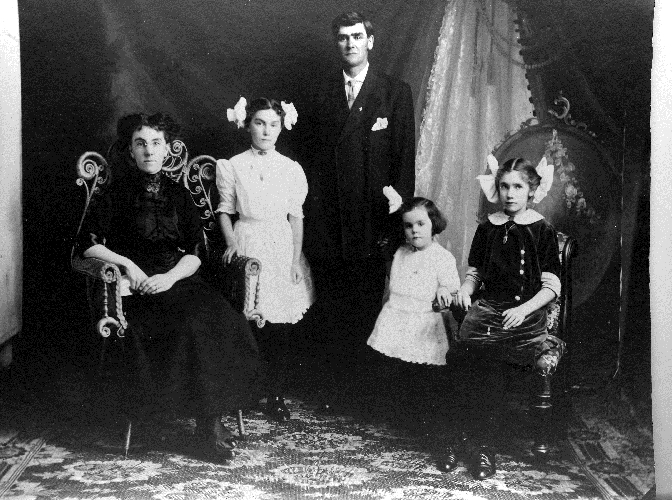 George Donohoe, wife Edith Pope and their three daughters in 1918.